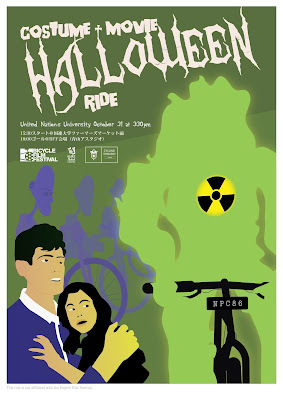 Night Pedal Cruising Halloween Ride in Tokyo! 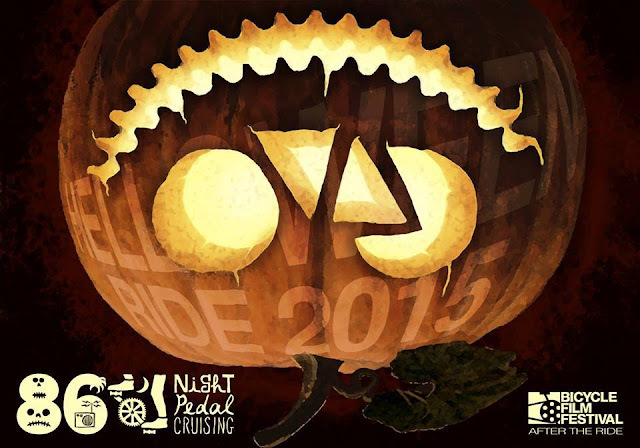 Its on again everyone, the Night Pedal Cruising Halloween Ride in Tokyo! Growing larger and larger every year this is Tokyo's one and only Halloween themed night ride, and with Halloween falling on a Saturday this years event promises to be bigger and better than ever. 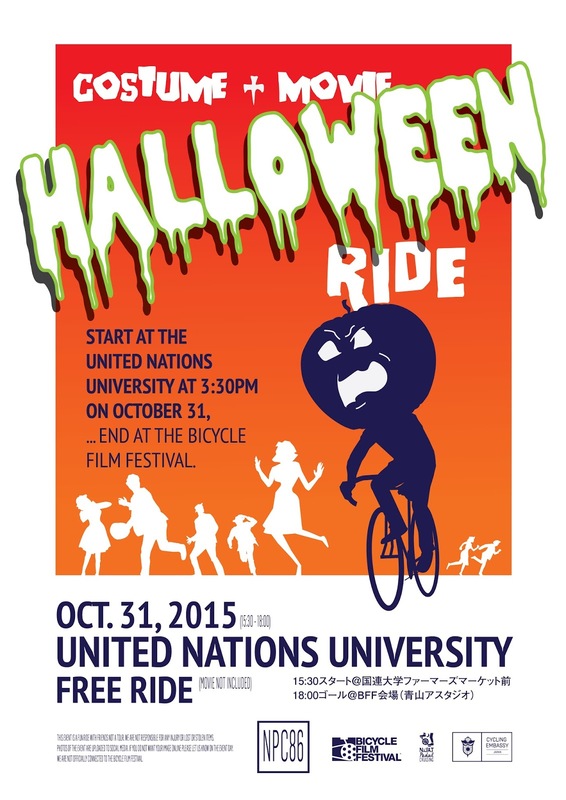 So get in costume, decorate your bikes, load up your iPod with a spooky Halloween soundtrack and join in the fun. This years ride will begin at 15:30 from in front of the Farmers Market at the United Nations University in Aoyama from where costumed cyclists will cruise the streets Tokyo until 18:00 when the ride will finish at the opening event for this years Bicycle Film Festival, also in Aoyama, Tokyo. 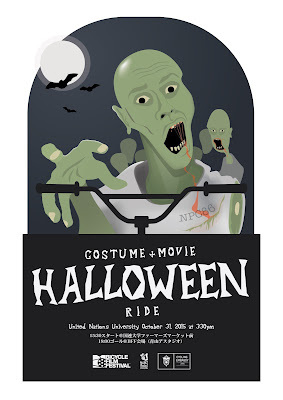 With such an early finish o the ride you can enjoy the Bicycle Film Festival, head to later ghoulish Halloween celebrations or join a handful of riders who are planning to visit the Halloween Cosplay Parade in Nakano. Night Pedal Cruising rides are social rides at a slow pace for relatively short distanced with the emphasis on having a good time with bicycle lovers from all walks of life. No matter your level of experience you can complete a Night Pedal Cruising Ride with ease. Also feel free to download and print one or all of our Halloween Ride Posters below and post them around your workplace or hand them to the owner of your local bike shop. The more participants the more fun to be had! 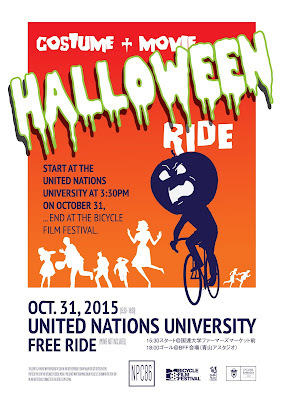 Get all the details about the ride at the Night Pedal Cruising Halloween Ride Facebook Page.